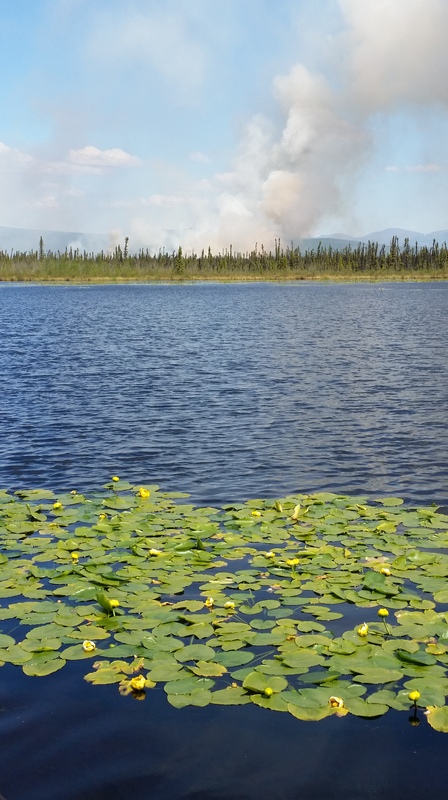 2:00 p.m. –(Tok, AK) – On Sunday the Division of Forestry responded to a lightning caused fire burning on a Tanana River island located three miles northwest of the community of Dot Lake. The Tanana Slough Fire is currently 500 acres in size. Water scooping aircraft, fire retardant tankers and helicopter with buckets dropped water on the blaze in support of the 94 firefighters working to stop the fire’s spread. Fire crews are using airboats to access this off-road fire. On Monday evening the fire management transitioned to a Type 3 organization. Additional resources are on the way to help contain this fire, including more crews and additional fire operations staff. 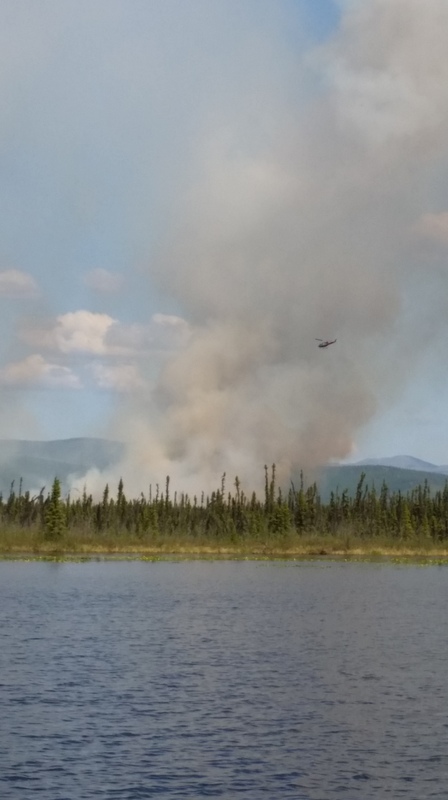 Fire managers are directing firefighting efforts to keep the blaze from crossing the Tanana Slough and threatening the Alaska Highway, the communities of Dot Lake and Dry Creek, scattered Native Allotments and private properties in the vicinity. Travelers on the Alaska Highway between Tok and Delta are requested not to stop on the narrow road shoulder to view the fire activity; instead, please use parking areas or pullouts where stopping is safe. Much of Alaska is once again under Red Flag Warnings for strong winds or very low humidity through Tuesday. A Red Flag Warning means that conditions exist that could lead to new large and dangerous wildland fires. The return of hot and dry weather to Interior Alaska also means the return to high fire danger. The public is urged to be alert that the very dry fuels around their homes and communities can be ignited by just a small spark. Everyone is encouraged to use extra care during any outdoor activity that could lead to a new wildland fire.